Australia’s highly-paid federal politicians will have to turn up to work for just 10 days in eight months next year if an election is called in May. 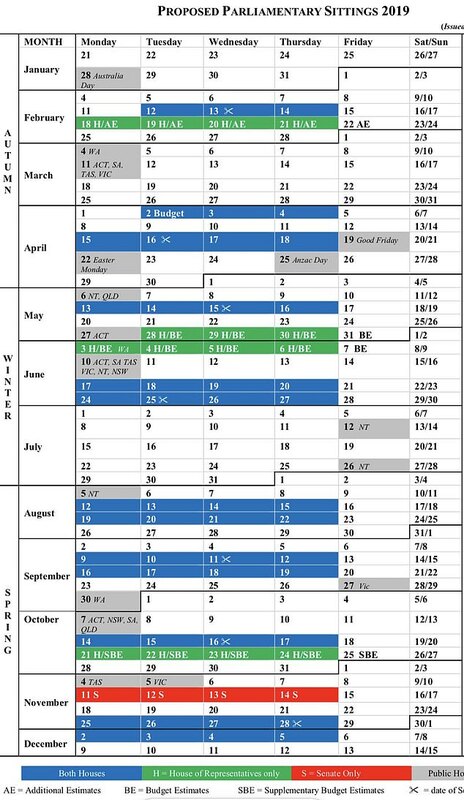 The parliamentary sitting schedule for 2019 was released on Tuesday night and received immediate criticism for the amount of blank space it had. 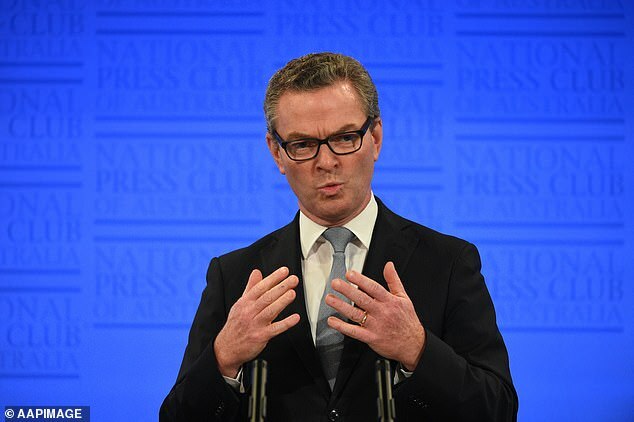 Leader of the House Christopher Pyne described the schedule as being ‘quite unexceptional’, but the opposition argued that it was anything but that. Labor accused the Government of trying to avoid scrutiny due to their precarious position in the lower house after independent MP Kerryn Phelps claimed the seat of Wentworth vacated by former Prime Minister Malcom Turnbull and the shock decision from Chisholm MP Julia Banks to move to the cross bench. The vulnerable conservative government is holding on by just two votes as it limps towards a May election. He said, according to the schedule, there would only be 10 days of parliament in the first eight months of 2019 if an election campaign was taken into account. ‘We’ve now had it confirmed from House of Reps there has never been an eight month period with only ten sitting days,’ Mr Burke wrote. The Labor frontbencher also stated since 2014, there had been five weeks of sitting before the federal budget rather than the planned two weeks in 2019. ‘What is in front of us now is the surrender document,’ Mr Burke told ABC News. Labor’s shadow treasurer Chris Bowen said the government had thrown in the white flag. ‘They’ve given up,’ Mr Bowen told Sky News. ‘If the government has an agenda, and clear plans, and a positive agenda for the country, then they will bring the parliament back to see it legislated. The Government hit back with Leader of the House Christopher Pyne describing the conversation about the lack of sitting days as a ‘storm in a teacup’. 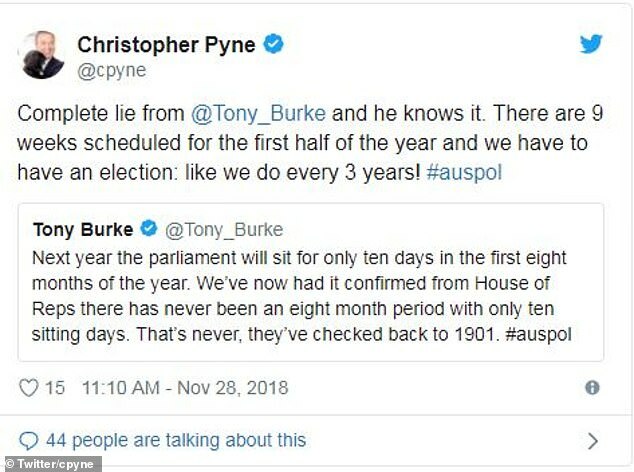 Mr Pyne also shared his thoughts of Mr Burke’s Twitter comments, saying: ‘Complete lie from @Tony_Burke and he knows it. 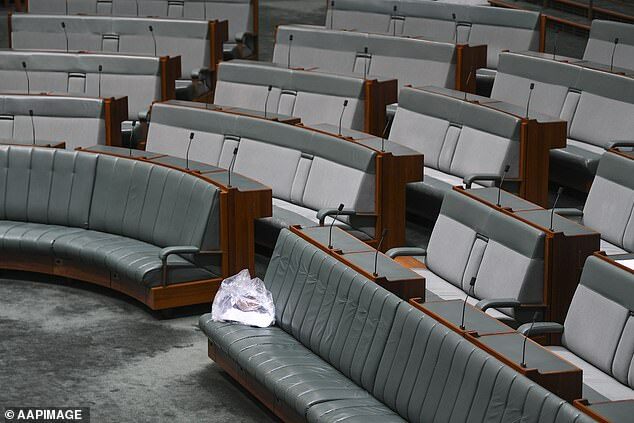 Despite Mr Pyne’s comments about the general public’s lack of interest in Australian politicians’ work schedules, many people were quick to respond to Mr Burke’s tweet. ‘It’s beyond frustrating that they work for us and yet it appears we are powerless to change things,’ one person wrote. ‘Disgraceful. Don’t suppose there’s anything we can do about this?’ another person said. The average cabinet minister is paid about $350,000 a year while their opposition counterparts takes home about $254,000 and backbenchers more than $200,000. The average Australian earns about $80,000 a year.